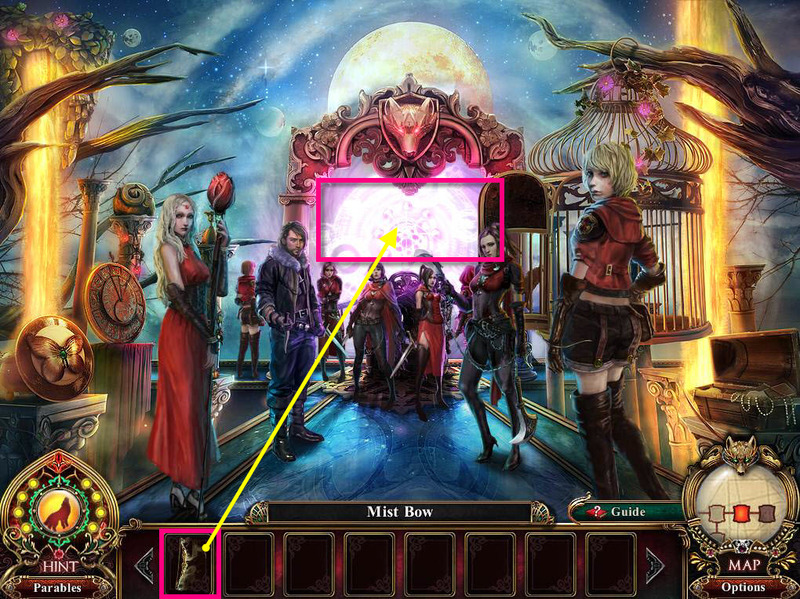 Click on the sparkles on the left. 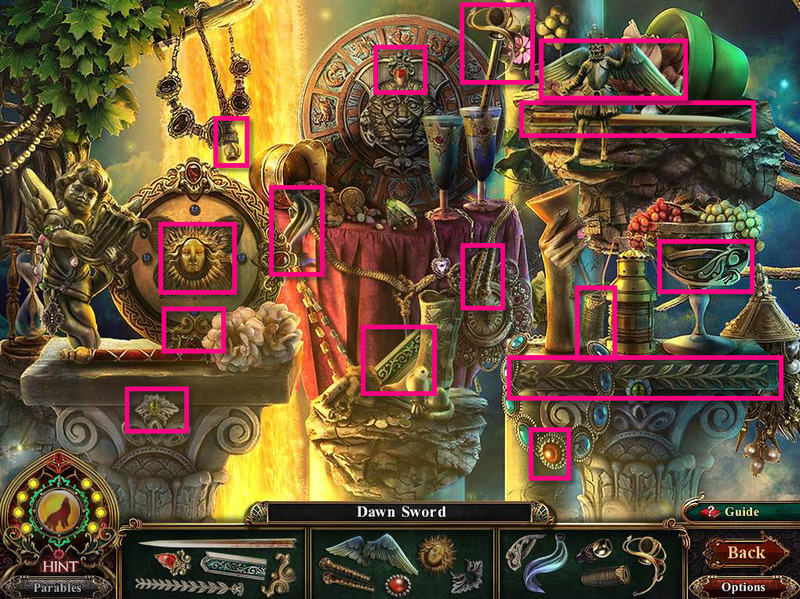 You will receive the DAWN SWORD. 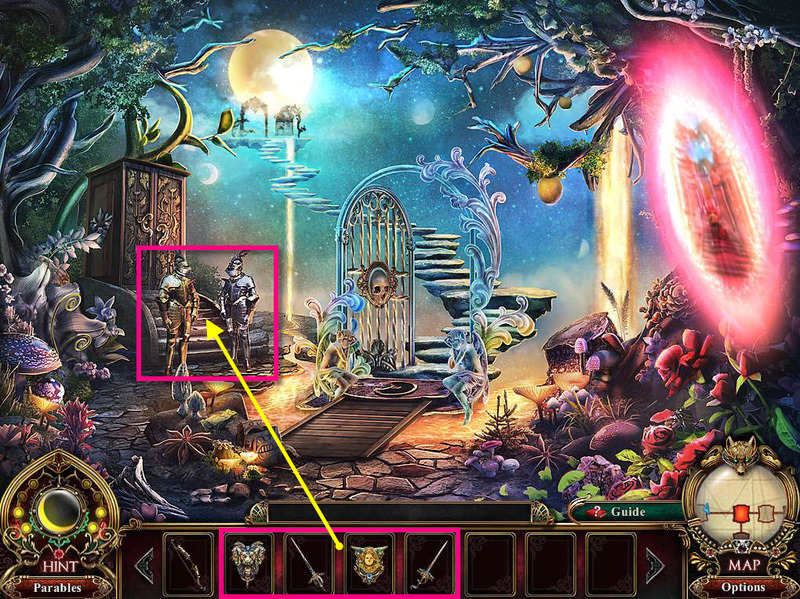 Click on the knights on the left. Use the HOLY SHIELD and the DAWN SWORD on the bright knight (he should already have the EAGLE HELMET on him, if not, use that on him too). Use the HERETIC SHIELD and the DUSK SWORD on the dark knight (he should already have the SKULL HELMET on him, if not, use that on him too). Go through the doors that open. 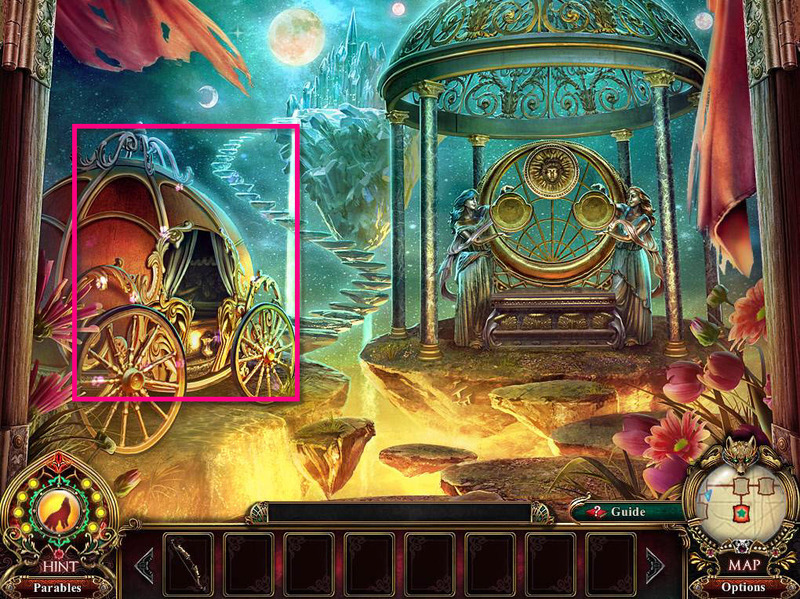 Click on the sparkles by the carriage. You will receive the GLASS SLIPPER. 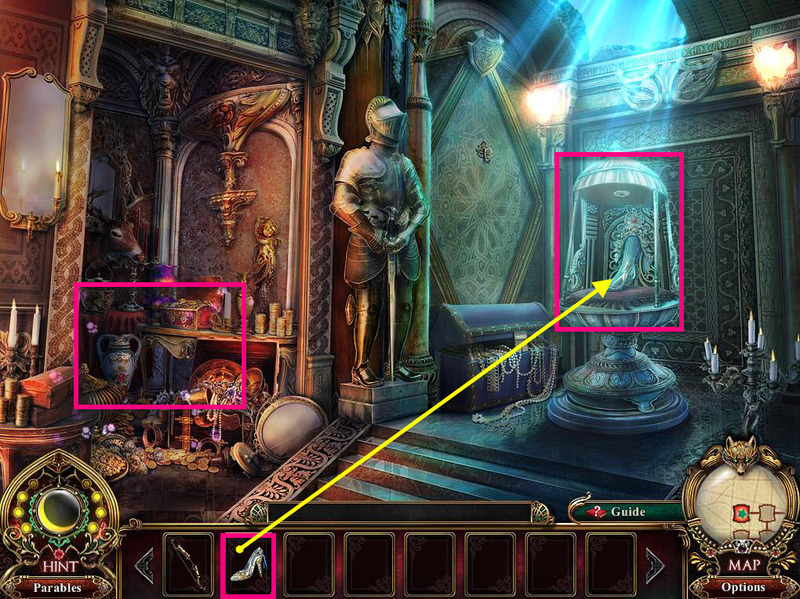 Now, you need to go to the treasure room. 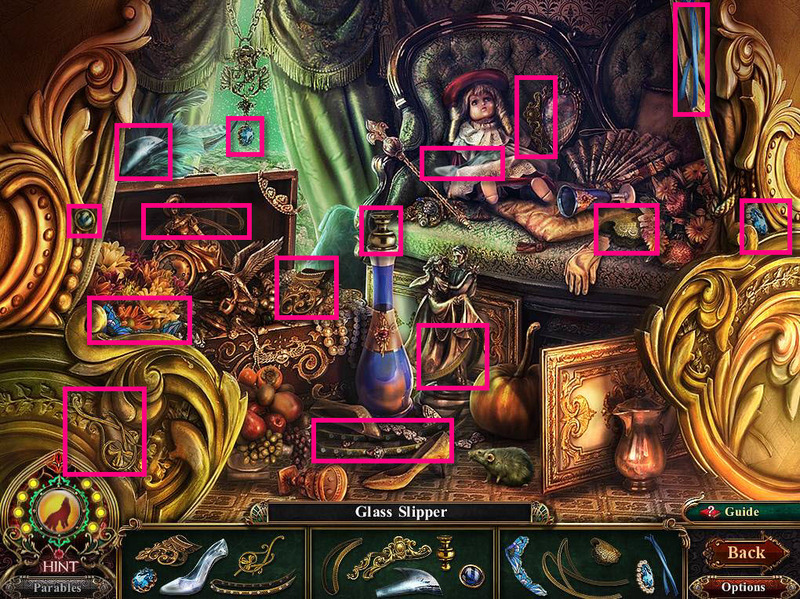 Click on the display case with the foot to zoom in. Use the GLASS SLIPPER on the foot. Take the FAIRY TALES LAND INSIGNIA. 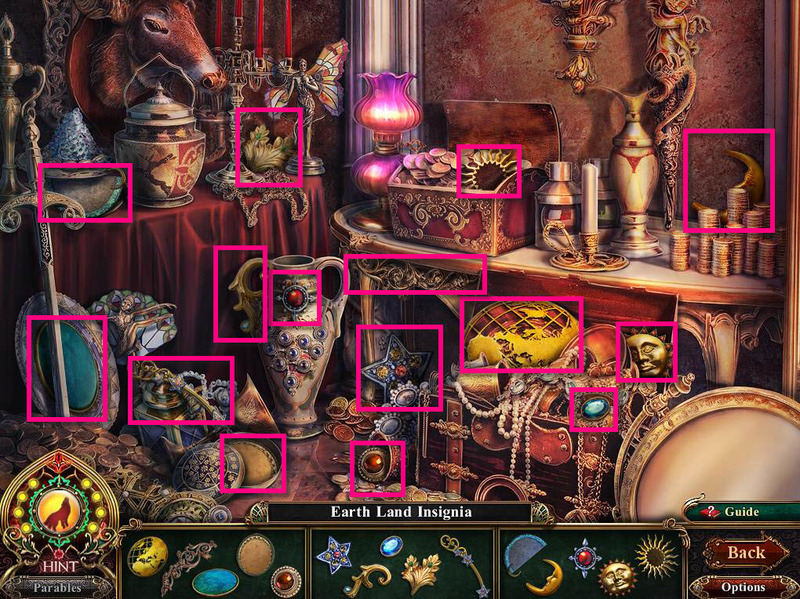 You will receive the EARTH LAND INSIGNIA. 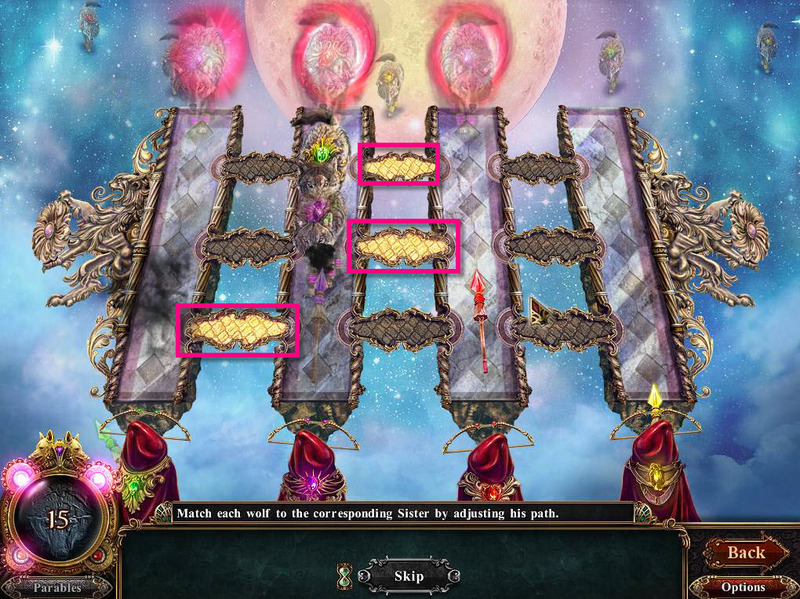 Go back to the carriage which is labeled altar on your map. Use the FAIRY TALES LAND INSIGNIA and the EARTH LAND INSIGNIA on the empty slots on the back of the altar. Click on the anvil to zoom in. Take the FALLEN SISTER 4/4. You can now listen to the Fallen Sister Parable. Use the CENTAUR BOW on the anvil. Return to the Wolf Throne. Use the MIST BOW on the fog. Click on the area that's under the arch. The goal of the game is to line the wolves of the right colors up against the sisters with that matching color. The white paths bridging the paths will move the wolf. Click on them to get them to the right spot so the sister can shoot them. 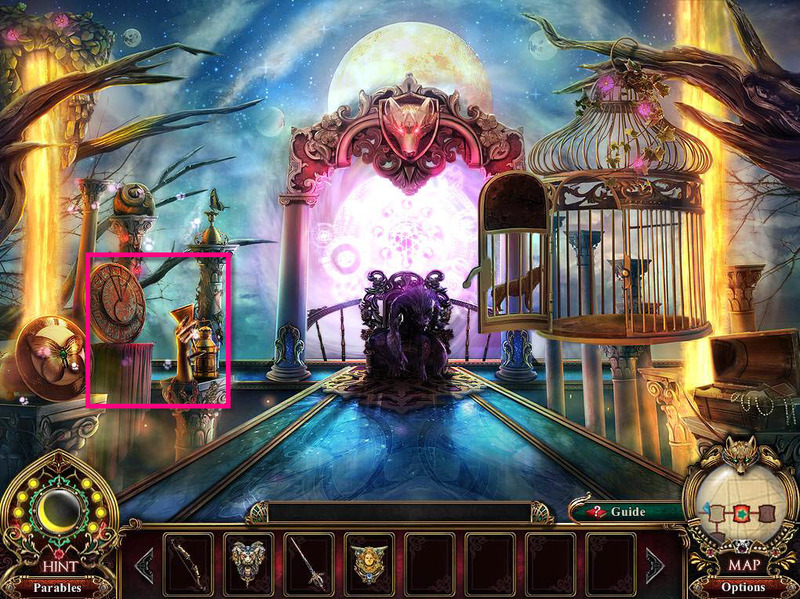 Once done, watch the cut scene, then leave the Fairy Tale Wolrd through the portal to end the game. Congratulations! 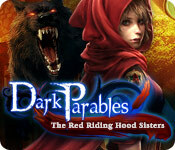 You have defeated the Wolf Queen and completed Dark Parables: Red Riding Hood Sisters!